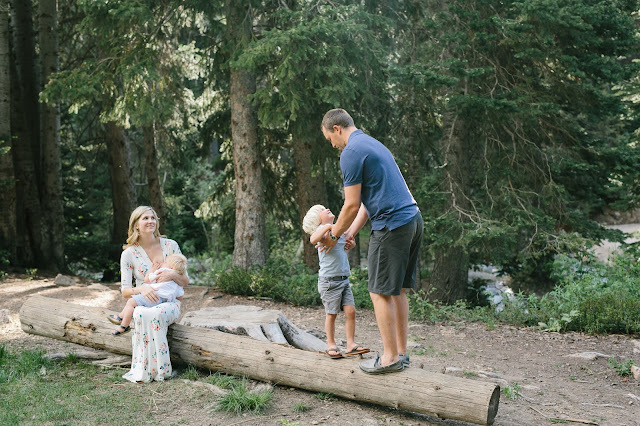 With Liam, I feel like I shared much more about our breastfeeding relationship & journey. In fact, breastfeeding was/is the one subject I am emailed about the most. It's something I am so so passionate about, and I love any opportunity to help others. I was actually considering becoming a La Leche League leader for awhile, but I find myself not having the time I would like to be able to dedicate to it right now. Today I just wanted to share a few of my favorite breastfeeding images from our recent family shoot. (Thanks again to Kali Poulsen). Between the stinging nettles & the late-ish hour, Finn spent a good portion of our shoot nursing. I love how beautifully & naturally these moments were captured. Not only I am a huge breastfeeding advocate, but I'm a big supporter of nursing into the toddler years. The breastfeeding relationship changes so much after that first year. The bond grows ever stronger. I wish more women had the opportunity or the desire to nurse past that initial 12 months. So here I am nursing my now nearly 15 month old. My hope is that by sharing these images, someone may be encouraged to keep breastfeeding their little nursling. To enjoy that relationship past the baby stage. So cheers to all the currently breastfeeding mothers & to those who no longer have a nursling. Whether your nursed for one day, one week, one month, or years & years. Cheers to you! Beautiful photos! And kudos for you to be a breastfeeding advocate... We clearly need it! I never in my wildest dreams thought I would ever miss nursing. The first weeks of it were absolutely EXCRUCIATING. I would cry and wish for labor ten times over the dreaded feeling of knowing my baby needed to eat. It was pure agony. However it got better and I stuck it out, never gave up and continued on for 13 months after that! I never thought there would come a day that I would miss it. But I do and look forward to having that bond again one day! I was so nervous to nurse. And when my son was born and he took to nursing I was ecstatic!! But I had to return to work and my supply dwindled...so I had to supplement with formula. But I didn't stop nursing. I continued and nursed him until he was almost 19 months old. And I loved every second of it. So like you said - whether you nursed for one day or 2 years - cheers to you! Breastfeeding is such a wonderful bond between mom and baby. I was so lucky to be able to nurse both of my babies. It was something I knew I wanted to do and had such support in making that come true. Cam and I saw a lactation consultant for a few weeks after he was born because he was struggling to latch properly and get full before falling asleep. Once he got it he was a nursing machine. Emmy latched on within 5 minutes of birth and didn't look back. Once they got to a year old both of mine were too busy or didn't really want to nurse anymore and I was ready to be done, but I am so thankful I had that experience with both of them and wouldn't trade it for the world. It's a beautiful thing for sure. Gorgeous pictures mama!!!! Love this so much. I'm just beginning breastfeeding journey with #3 and loving it all over again! Beautiful photos, sweet lady! I'm so impressed that you're able to breastfeed into the toddler years. Our journey only lasted 9 months. But, I am praying for extended breastfeeding with our next! I think breastfeeding was the thing I missed most after Owen was done. At around 14 months he just wasn't into it anymore and slowly stopped asking and motioning for it. At the time I was a little relieved, but then I missed the connection and closeness. Now Luke and I are 8 months in and I'll do it for him as long as he wants. It has been such a beautiful thing for me and my kids -- I hope posts like this can encourage more moms to give BFing a try. I kept telling myself that at 12 months Julia was done (more like *I* was done) with breastfeeding. But with her first birthday in just six days I cannot even wrap my head around the idea of ending our journey so soon. So, we'll just keep at it until we're both ready. Thank you for sharing these photos. They are truly beautiful. And, thank you for answering all my crazy texts when I have breastfeeding questions! This post is so encouraging! I'm due with my first child this November and it is amazing how many people have DIScouraged me from breastfeeding due to their own struggles. I love hearing success stories like yours. Thank you. These photos are beautiful! How special for you to have such a precious time captured so perfectly. I made it to a year with my first and a year and a few weeks with Oliver - it's bittersweet and the end of a very good thing. You're amazing for still going! OH! and these photos are beautiful!! So sweet Laura! I had to stop when Odette was 11 months and it was so sad. She had the worst eczema and we were really trying to get to the bottom of it. Gorgeous photos! I nursed my first son till he was 18 months and I was 6.5 months pregnant with my second. 13 months with my second, he was just really ready to do what his big brother was doing. The end of those journeys was so bittersweet. 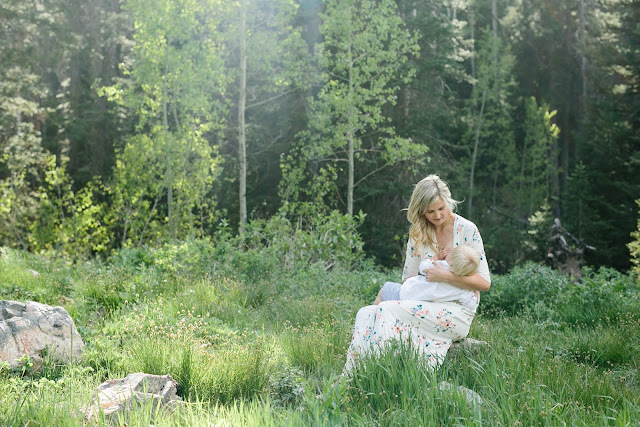 Thank you for portraying breastfeeding as a beautiful and natural thing. Thank you for sharing! I always love your nursing photos, they are beautiful! I'm excited and nervous to nurse another one. <3<3<3 These pictures are gorgeous! I nursed Caleb until he was 14.5 months old and, if I wasn't leaving him for over a week, would have done it much longer! I loved breastfeeding and can't wait to have another kiddo and start it all over again! Such beautiful photos! So happy that your photographer was able to capture such a beautiful moment between you and Finn! I sooooo wish I had some nursing photos with my babies. Such special moments to be documented. Support is crucial to breastfeeding, you are encouraging so many with this post! I am in total agreement with you, extended nursing is such a deeper bonding. The relationship changes in an indescribable, much sweeter way. this is so lovely! i really hope i am able to breastfeed when i have kids.